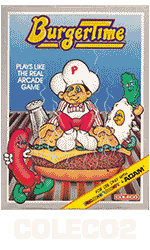 Welcome to the Coleco Box Art site. 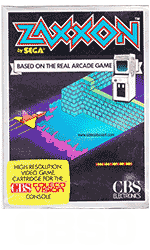 I made this site since I had lots of difficulties to find scans of boxes of Colecovision games, especially the European versions. I have tried to collect as many as I could and then I scanned them to make them available for you. I also tried to “remake” some of them. You can help me by scanning, giving or selling me any artwork, game box, etc. about the Colecovision. Thank you. 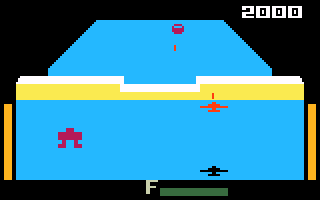 In the beginning of the 80s, the Atari VCS ruled but it also showed its limits. Graphics were very poor and it couldn’t compare with arcade and computer games. Coleco had already experienced the video game market with its console Telstar in the 70s. Thinking that the market was ready for a new generation of console, Coleco launched the Colecovision, based on a fast Z80 and which could display 256x192 graphics with up to 32 sprites. These features were superior to the competitors Atari and Intellivision. 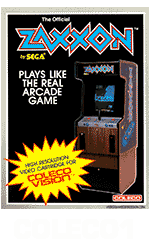 In order to enter the competition, Coleco bought licenses of Japanese arcade games like Donkey Kong or Zaxxon. These innovating titles proved that Colecovision was the only console to offer nearly perfect conversions of Sega or Nintendo games. Using a Z80 processor was a good choice as it was already broadly used in arcade cabinets, MSX and Sega machines, so it was easier to port games on the console. A wheel, a trackball and various joysticks were available. Moreover, you could add a special module to use Atari VCS cartridges. Despite all these advantages, 18 months after its launch, the Colecovision could not resist to the crash of the video game market. Coleco tried to go for home computing with the Adam computer but did not succeed. What really distinguished the ColecoVision from other systems of the era was its 32 sprite capability. It made it easier to design sprite intensive games like Slither. Scrolling on the Coleco was sort of chunky because they did not have special hardware for scrolling like the Atari units did - but some games (notably Jungle Hunt and Defender) do manage to scroll well, so there was a software workaround of some kind. 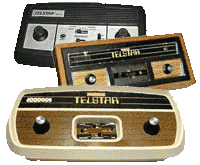 Coleco (a contraction of COnneticut LEather COmpany) was the first company to introduce a "dedicated chip" home video game system, with the Telstar Arcade in 1976. 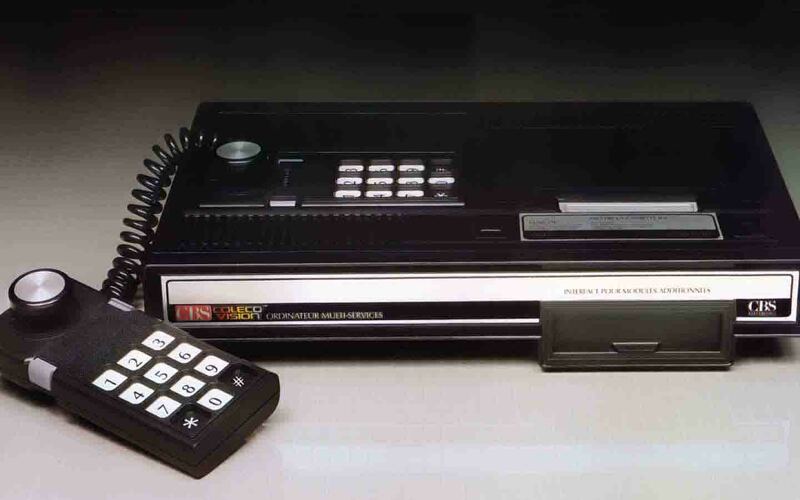 (The Magnavox Odyssey, based on Analog technology, was the first home video game system overall, debuting in 1973.) Trying to build upon the enormous initial success of the unit, Coleco decided to bring out nine different Telstar models. But within a year, 75 other manufacturers had introduced similar units, and combined with production snags, a shortage of chips, and a push towards hand held games, Coleco skirted with disaster. While Coleco sold over $20 million of hand held games, it had to dump over a million Telstar units, and the company lost $22.3 million in 1978. With the introduction of units with games stored on interchangeable cartridges, Fairchild and then Atari had eliminated any remaining market for the simple pong games. On June 1, 1982, Coleco re-entered the fray with the announcement of its "third generation" video game system, ColecoVision. 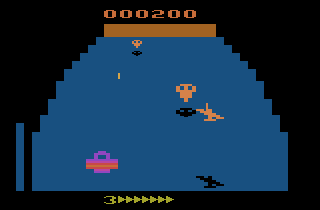 Touting "arcade quality", ColecoVision took aim at the seemingly unassailable Atari 2600. 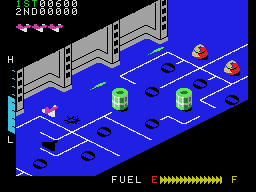 The bulk of Coleco's library was comprised of overlooked coin-op games such as Venture and Lady Bug. With a library of twelve games, and a catalog showing ten more on the way (many of which were never released), the first one million ColecoVisions sold in record time. 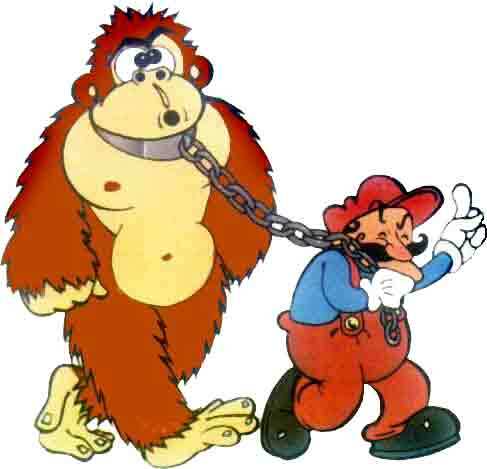 In 1983 it topped sales charts, beating out Atari and Mattel, with much of its success being contributed to its pack-in, Donkey Kong. The ColecoVision soon had more cartridges than any system except the Atari 2600, and with the 2600 converter still today has more playable games than any other system. 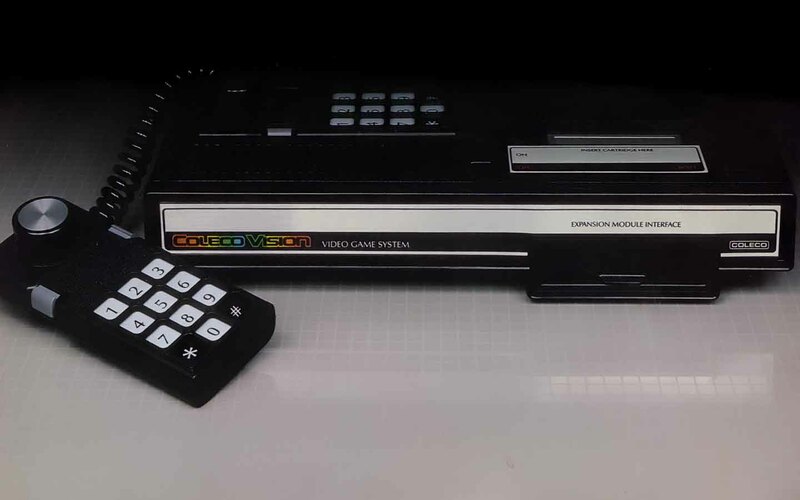 The ColecoVision introduced two new concepts to the home videogame industry - the ability to expand the hardware system, and the ability to play other video game system games. The Atari 2600 expansion kit caused a flurry of lawsuits between Atari and Coleco. After the dust cleared, the courts had decided that it was acceptable for Coleco to sell the units. As a result of this Coleco was also able to make and sell the Gemini game system which was an exact clone of an Atari 2600 with combined joystick/paddle controllers. 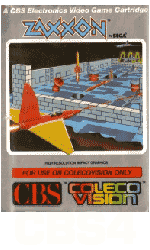 Coleco was also the first home videogame maker to devote the majority of their product line to arcade conversions, using the superior graphics of the ColecoVision to produce nearly arcade-quality games, albeit often missing a screen or level. Coleco truly shocked the industry by doing so well. In a year, the stock rose in value from 6 7/8 a share to 36 3/4. 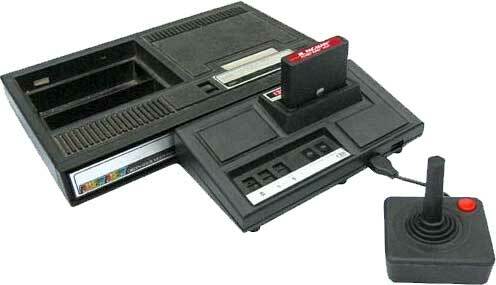 Unfortunately, the ColecoVision suffered the same fate as the rest in the great video game shake-out of 1984. Coleco's unsuccessful bug-ridden ADAM computer only complicated the problem; running behind schedule, Coleco is rumored to have used another manufacturer's computer as the Adam prototype at a CES show while at the same time Adam software was being developed with the system. 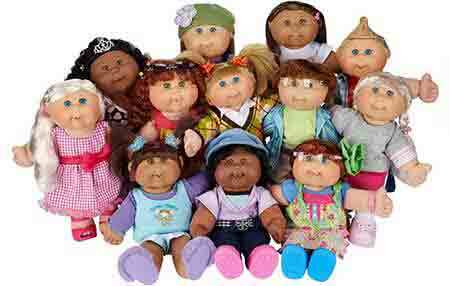 Some believe if it wasn't for Coleco's Cabbage Patch dolls, they would have completely disappeared. Even the Cabbage Patch dolls couldn't keep Coleco going forever, though; the company went under for good a few years later. 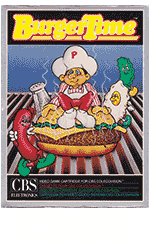 Ironically, Mattel (the producers of Intellivision) now own the rights to the Cabbage Patch dolls. 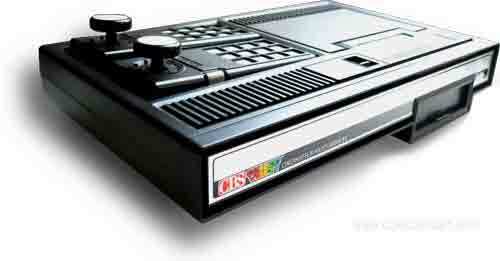 Coleco stopped production of the ColecoVision in 1984. 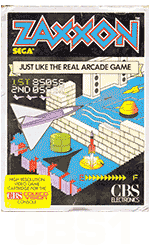 Their last few titles (Illusions, Spy Hunter, Telly Turtle, and Root Beer Tapper) were barely seen in stores. Soon after that, Telegames bought much of Coleco's stock and even produced a few titles of their own that didn't reach the shelves before the shake-out. As recently as 1991 a mail order electronics store was known to sell ColecoVision motherboards and joysticks. When Coleco left the industry they had sold more than 6 million ColecoVisions in just two years, even with the last year being troubled by the shake-out. 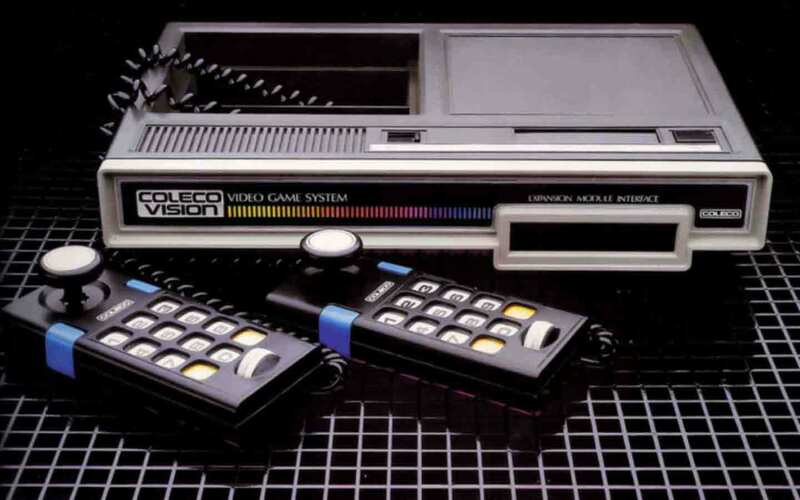 Many in the industry believe if it wasn't for the videogame crash of '84, that Coleco could have gone through the 80's as the system of choice, especially with its proposed Super Game Module. It was clearly beating Atari and Mattel, but just didn't have the installed base to last out the crash. The video game industry collapses. All production stops. These boxes seem to be the very first CBS boxes to be released. 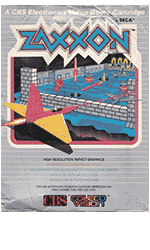 For the moment, I have only one proof of existence with the box for Zaxxon. Boxes have only one language (English, French, German, etc.) and there is a big artwork on the front. Boxes are multilingual (ex: English, French, German and Italian) and there is a big artwork on the front. Boxes are multilingual (ex: English, French, German, Spanish and Italian) and the main color is grey. These boxes are made of plastic and look like small VHS boxes. These boxes are like CBS4 but half the size. They were produced in Spain. Boxes have got a picture of the arcade cabinet of the game when it exists and there is a yellow splash sign. The splash sign is replaced with a yellow stripe. 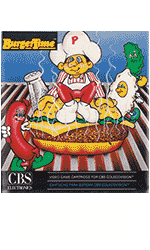 Boxes for Canada are the same as Coleco1 and Coleco2 boxes but the texts are written both in English and in French. Parker Brothers, Epyx, Micro Fun, etc., have their own box models.